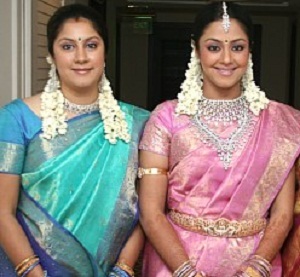 Jyothika Saravanan was born on 18th October 1978 in Mumbai, Maharashtra, India. She attended Learner’s Academy and Mithibai College, both in Mumbai. She holds bachelor’s degree in Psychology. 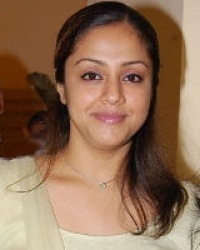 Jyothika made her film debut with bollywood film Doli Saja Ke Rakhna in 1998 starring Akshaye Khanna, Anupam Kher, Moushumi Chatterjee and Paresh Rawal. But her debut film was a commercial failure and reported to have been reason for Priyadarshan’s depression for some time. Jyothika Saravanan worked for numerous commercial hits like Vaali co-starring Ajith Kumar, Simran, Livingston, Vivek and Pandu, Kushi co-starring Vijay, Vijayakumar, Nizhalgal Ravi and Vivek, Rhythm co-starring Arjun, Meena, Ramesh Arvind and Manivannan, Thenali co-starring Kamal Haasan, Jayaram, Devayani and Delhi Ganesh, Dumm Dumm Dumm co-starring Madhavan, Manivannan, Vivek and Murali, Poovellam Un Vasam co-starring Ajith Kumar, Sivakumar, Vivek and Nagesh, Dhool co-starring Vikram, Reemma Sen, Vivek and Sayaji Shinde, Kaakha Kaakha co-starring Suriya, Jeevan and Daniel Balaji, Thirumalai co-starring Vijay, Vivek, Raghuvaran, Kausalya and Karunas, Tagore co-starring Chiranjeevi, Shriya Saran, Sayaji Shinde and Prakash Raj, Manmadhan co-starring Silambarasan Rajendar, Sindhu Tolani, Mayuri and Mandira Bedi, among other films. 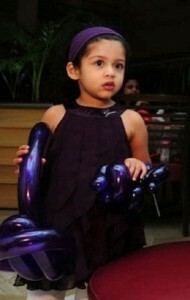 She was born to Chander Sadanah, a producer and Seema Sadanah, house wife. 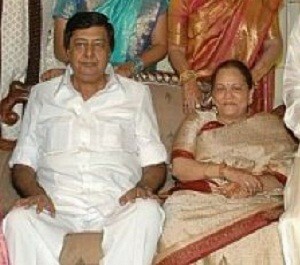 Her mother was married to Arvind Pratapsinh Morarji, a businessman from 1969 to 1973. After the divorce she married Chander Sadanah in 1975. 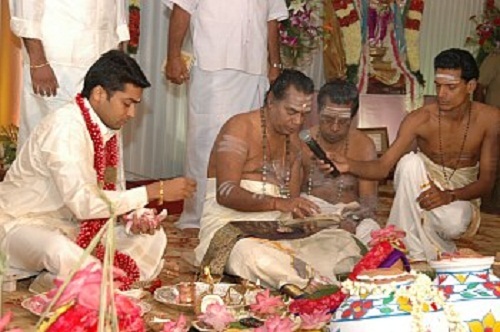 She also has a brother named Suraj,a film director. She also has a sister named Roshini. Actress Nagma is her half-sister, she was born to her mother out of the wedlock with Arvind Pratapsinh Morarji. She is also an actress. Jyothika dated actor Suriya before marrying him on 11th September 2006. They were co-stars in seven films shot before their marriage. 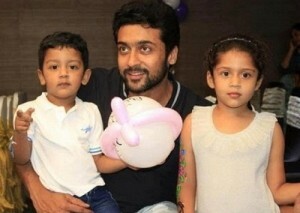 The couple gave birth to a daughter named Diya in 2007 and a son named Dev in 2010.